I believe that there are few things in life more powerful than our thoughts. Our thoughts impact our emotions, our behaviors, our environments, and the people who make up our support system and community. We hold the capacity to affect change within ourselves and in our lives. I view individuals as experts in their existence – each of us knows what is best, what will and will not work for us, how we can best be supported, and most importantly, we possess all of the tools necessary to help ourselves. In my practice of therapy, I provide support for individuals and families, so that they are able to identify the areas in which they need support, as well as their unique set of strengths and skills, and how they can utilize these to change their environment, create a more positive self-concept and a more positive life. 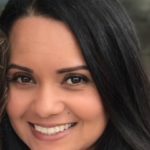 Taina has experience providing group and individual therapy, case management and parent coaching services to adults and children, in both English and Spanish. She has worked with individuals from a wide range of ages and cultural backgrounds, and with various mental health needs. She worked with survivors of domestic violence, children and families, in the San Francisco Bay Area, and with victims of human trafficking in San Diego, prior to joining Center for Hope & Strength. Taina draws from a number of psychotherapeutic approaches, with the bulk of her work focusing on Cognitive Behavioral Therapy and Strength-based Therapy.